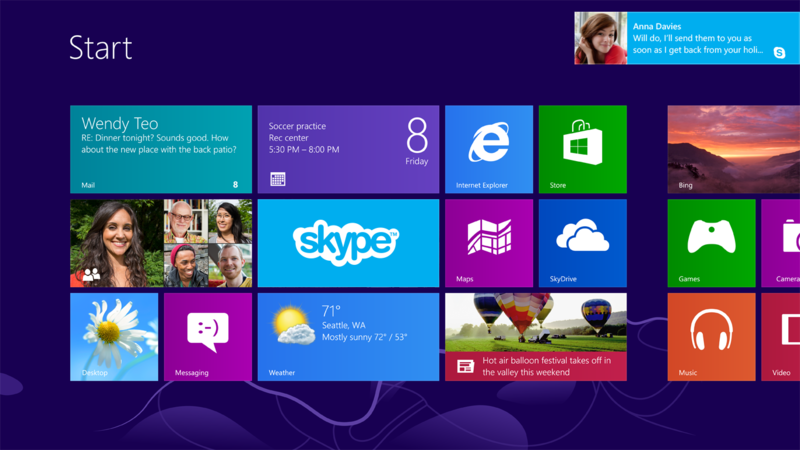 Days ahead of its official release, Microsoft has announced a new version of Skype built especially for Windows 8. The app is being made available in the Windows Store, and once installed, it will display on the Start screen as a Live Tile showing missed calls and messages. 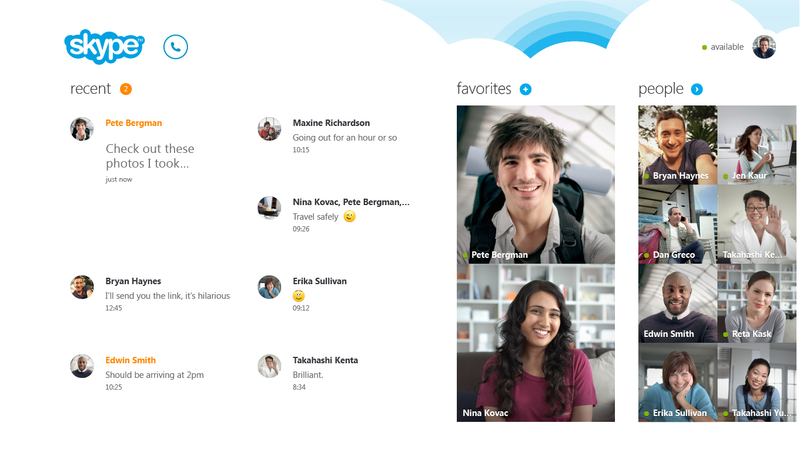 Like other Microsoft apps, Skype’s look-and-feel is that of what would have formerly been called “Metro Design,” before the trademark dispute with a German retailer. There has been a little confusion as to whether we should refer to the style as the generic-sounding “Modern Design” or the even more generic “Windows 8-style UI,” perhaps. But today’s Skype blog post appears to clear that up. (Skype is owned by Microsoft). It declares “Modern Design” the winner, apparently. The new app places recent chats and calls front-and-center, as they’re the first things you’ll see when the app goes live. You can also build out a list of favorites, and these then appear on the app’s homescreen with big thumbnails next to your full list of contacts. To begin a call or chat, you simply tap or click on your friend’s profiles. These contacts are also integrated with Windows 8’s native People app, so all of your Skype’s contacts will display in this central address book, even if you had not created contacts for them. You can kick off Skype calls from the app itself, too, as contacts’ info will be updated with their Skype details when the app is installed. Note that this requires you to log into Skype using your Microsoft account. 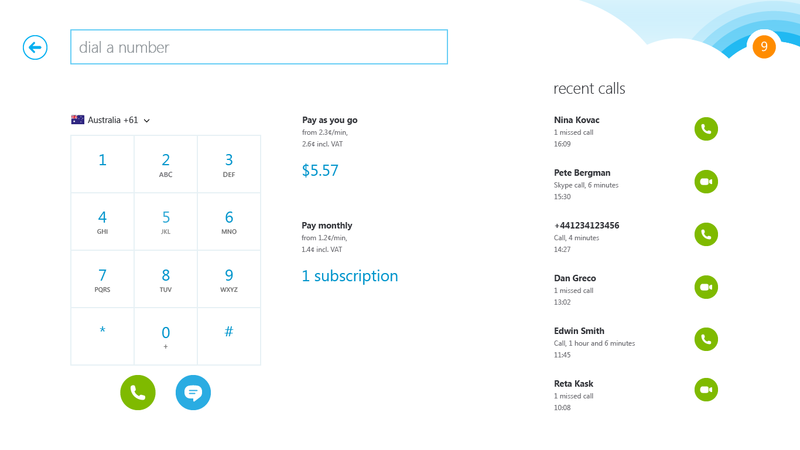 Skype for Windows 8 also now includes an integrated dial pad for calling landlines, and shows the amount of Skype Credit you have remaining as well as your active subscriptions, if any. Recent calls display next to the dial pad, so you can easily phone your regular contacts again. The app runs in the background on Windows 8, and will display a pop-up notification when you have new calls or incoming messages. As you use the app, you can also browse the web, look at photo, use maps and more while chatting, by taking advantage of Windows 8’s “snap” feature that lets you quickly place two applications side-by-side. A closer look at the update is included in the video below.